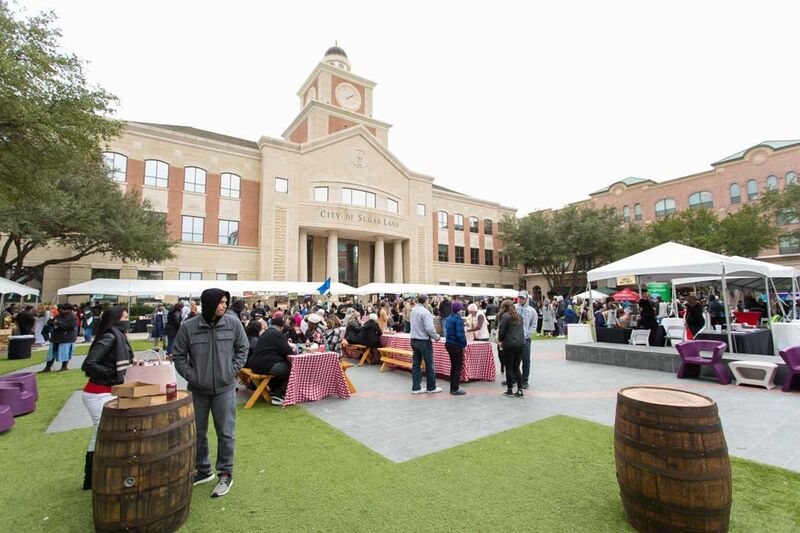 Out of the 17 restaurants who brought their best batches of gumbo to our 2nd annual Gumbo Smackdown this past Saturday, it was two dark horse competitors who took home the biggest prizes: the brand-new Museum Park Cafe and South African hotspot Peli Peli. 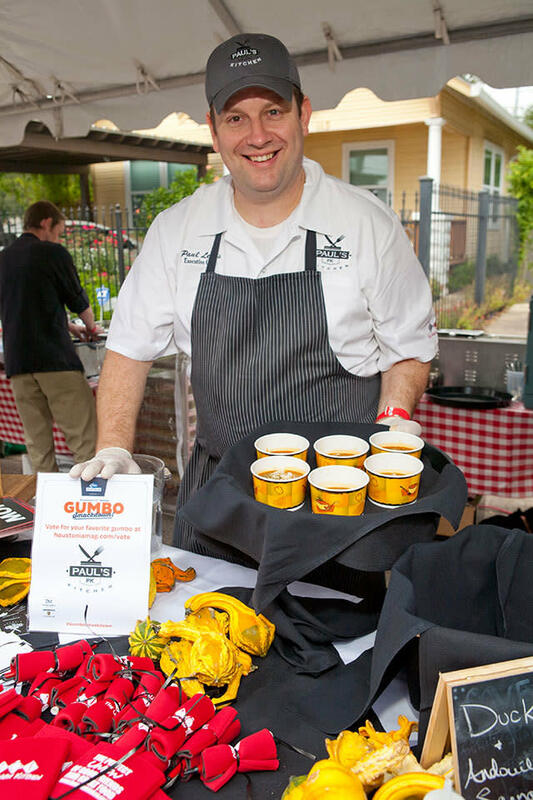 "Gumbo actually originated in South African," chef Paul Friedman joked to the sold-out crowd as he presented his version of the Cajun classic to the panel of five judges. Friedman's twist on gumbo included an all-beef sausage with the casing removed, allowing the sausage to crumble into the dark roux. Heat-seekers could amp up their gumbo with the application of Friedman's own peli peli powder (also known as piri piri), a blend of African bird's eye chilis that's substantially hotter than plain old jalapeño peppers. 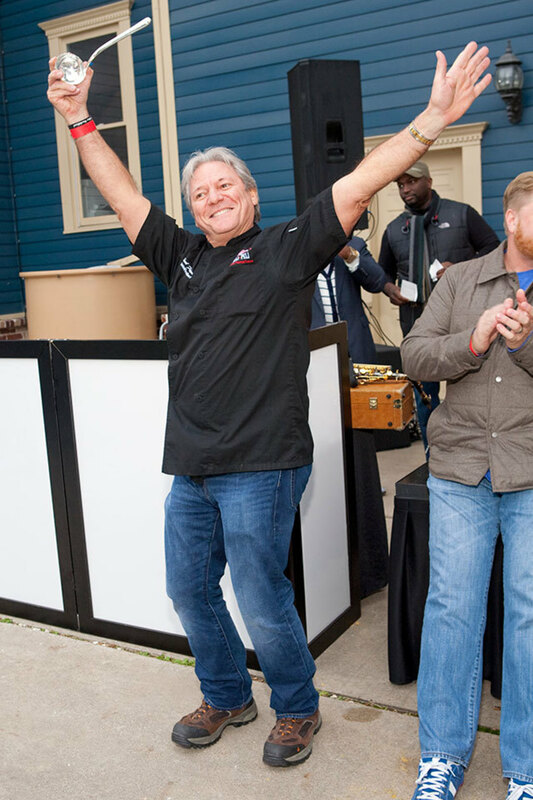 Peli Peli's gumbo took home the peoples' choice award on Saturday, an assessment that wasn't too far off from the judges' opinions; Peli Peli took third place in the judges' scoring, with Frank's Americana Revival—also sporting a rich, dark roux—taking second place. But it was Museum Park Cafe that surprised both the judges and the crowd by taking home first place. The brand-new restaurant in the Museum District is headed up by chef Justin Basye, who made a subtle and straightforward rendition of gumbo with smoked ham and black-eyed peas, helped along with a buttery biscuit on the side made by pastry chef Chris Leung. 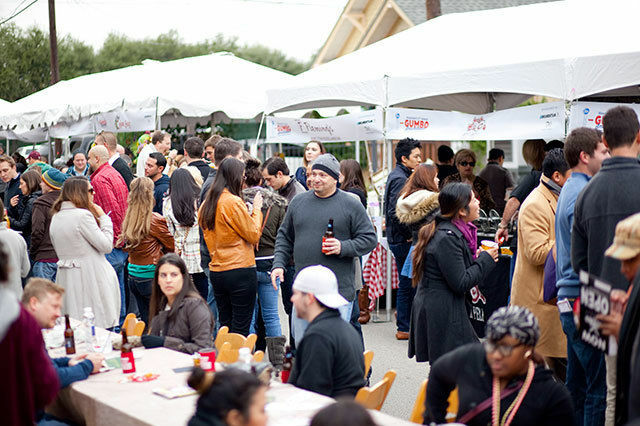 Though many might argue that the addition of black-eyed peas rendered Museum Park Cafe's entry "not gumbo," the judges—including gumbo pros chef Randy Evans (previously of Haven and now of Southern Son Consulting) and chef Kevin Naderi (of Roost and Lillo & Ella), along with celebrity judge Juan Carlos the Montrose Rollerblader—disagreed. The judges' decision was nearly unanimous, with Frank's Americana Revival giving MPC a solid run for its money. 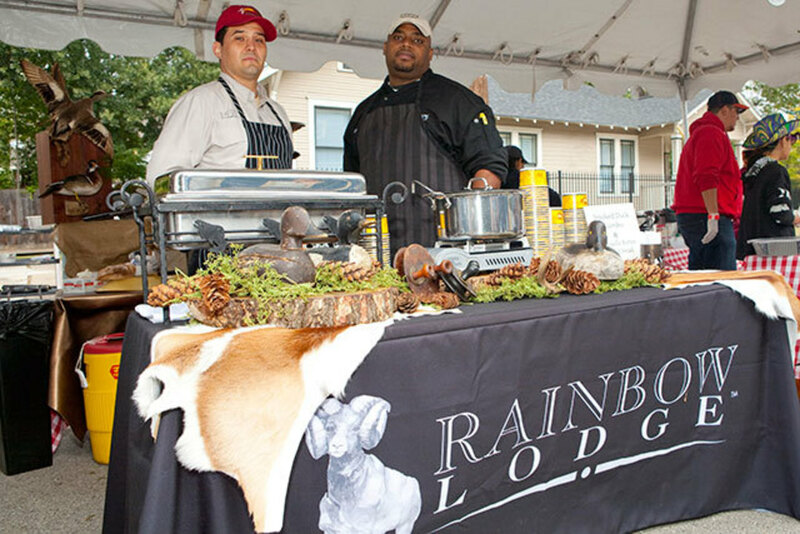 The award for best booth went to The Rainbow Lodge, where owner Donette Hansen and chef Kelly Boyd had taken their smoked duck gumbo theme to the next level, decorating the booth with taxidermied mallards and other beautiful animal pelts that made the booth seem like a satellite version of the storied Lodge itself. Elsewhere, defending champions Fleming's went all-out with a gumbo that featured smoked duck, alligator, and lump crab with Tabasco pearls, while Prohibition brought one of their bejeweled and befeathered dancers to help present an excellent bowl of gumbo that didn't even need the extra finery. In addition to casting their vote for the peoples' choice winner, our guests got to sample gumbos and sides from all 17 restaurants—though making it through all 17 generous portions proved a tough battle for some—in addition to beignets and coffee from The Honeymoon, refreshments from Dr Pepper Snapple and Bud Light, and cocktails from TX Whiskey and Dripping Springs Vodka.